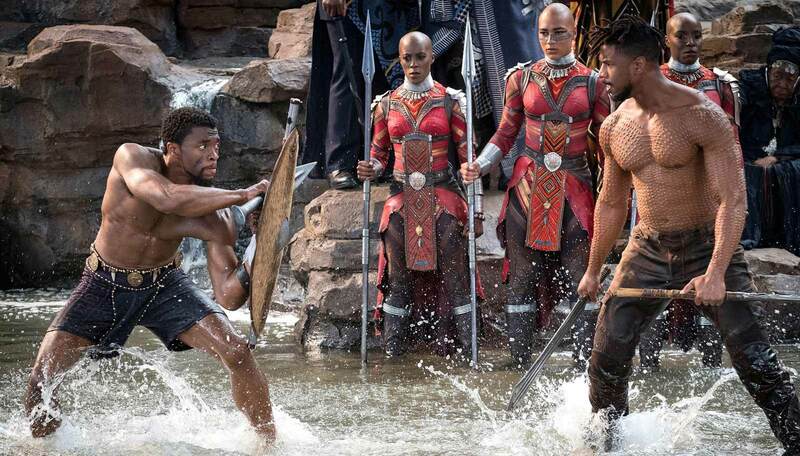 ‘Black Panther’: Choose Your Weapons – Sig Nordal, Jr.
February 22, 2018 Sig Nordal, Jr.
Movies often flatten real African cultures into two-dimensional imagery—stereotypes in stereo, a quilt of clichés. But Wakanda, as everyone keeps reminding us, doesn’t exist. This gave Ryan Coogler free rein to create a country in the subjunctive mode: what if…? Given a blank canvas, he chose to sculpt and embroider various materials, genres, and tones. Black Panther is Shakespeare meets Shaka Zulu, Too $hort in Timbuktu.